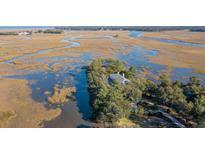 Below you can view all the homes for sale in the Ellis Oaks subdivision located in Charleston South Carolina. Listings in Ellis Oaks are updated daily from data we receive from the Charleston multiple listing service. To learn more about any of these homes or to receive custom notifications when a new property is listed for sale in Ellis Oaks, give us a call at 843-306-2224. The main house is about 4,400 square feet and three MLS#19010767. Smith Spencer Real Estate. The living room, anchored by a fireplace and soaring ceilings, transitions into the kitchen which features MLS#19006302. The Cassina Group. Details include tall ceilings, abundant natural light, crown molding, wainscoting, hardwood floors, built-ins and MLS#19003193. The Cassina Group.